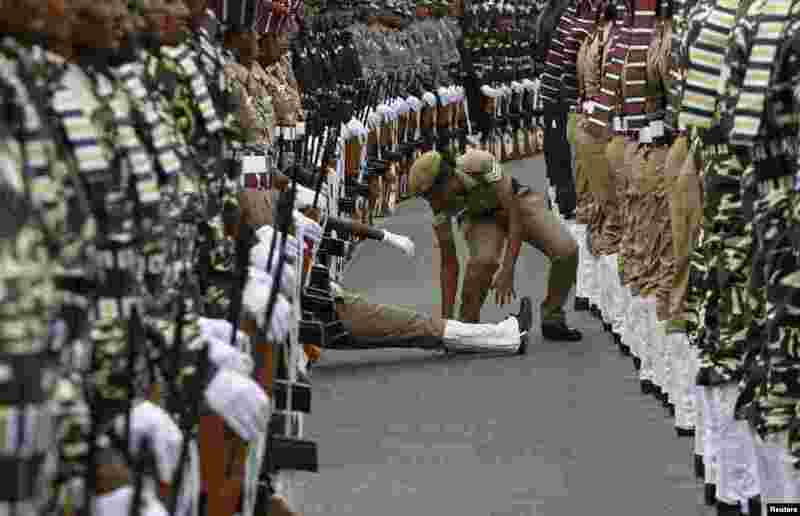 5 An Indian policewoman helps her comrade who fainted during the full-dress rehearsal for India's Independence Day celebrations in the southern Indian city of Chennai. India commemorates its Independence Day on Aug. 15. 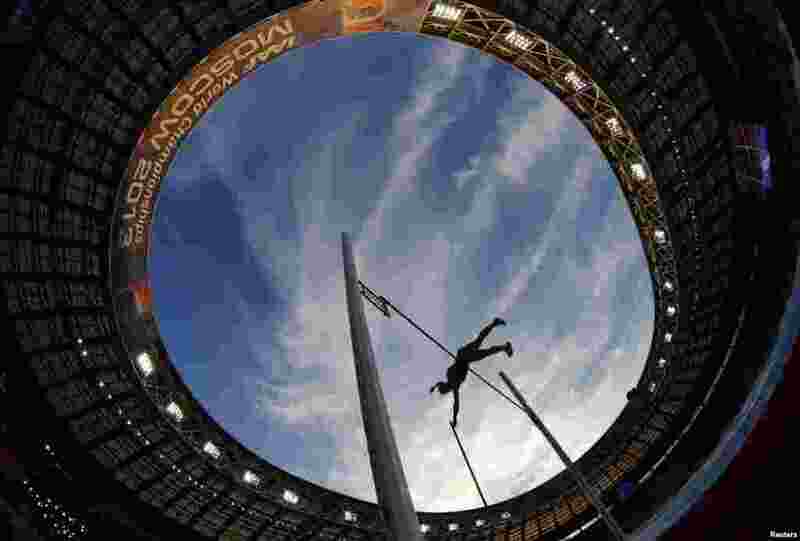 6 Silke Spiegelburg of Germany competes in the women's pole vault final during the IAAF World Athletics Championships at the Luzhniki stadium in Moscow, Russia. 7 A rooftop villa complete with rocks and flora is built on top of a high rise residential building in Beijing, China. 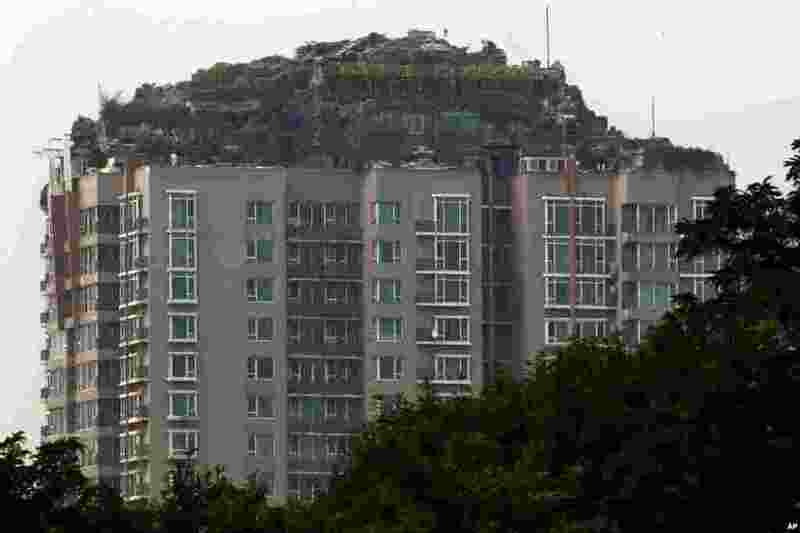 Beijing authorities are planning to demolish the rooftop villa that allegedly was built illegally atop a 26-story apartment block in the capital. 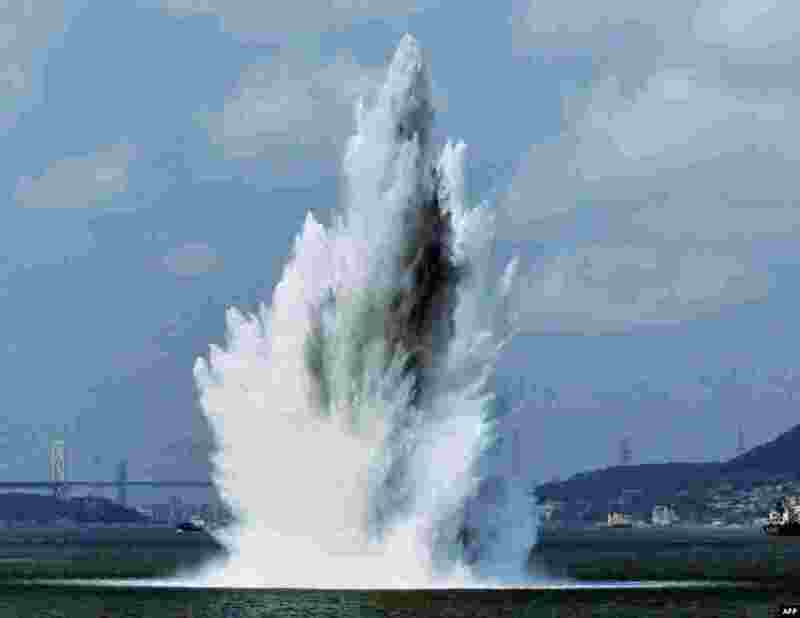 8 A nearly 100-meter-tall and 60-meter-wide column of water rises up as a World War II mine explodes during a mine sweeping operation in the Kanmon Strait off Shimonoseki, Yamaguchi prefecture, Japan.